The very variable female has three different color forms. 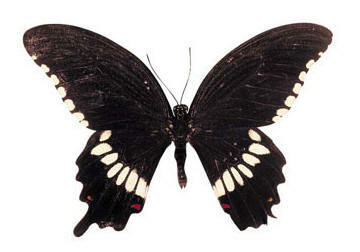 One form resembles the male the others mimic different species of swallowtail. Males have a swifter flight than females. It is common in areas where citrus is grown.